Trelawney is wearing the very flattering La Femme Faux Wrap Dress in TRANSCENDENTAL. This easy to wear frock is cut on the bias and designed to contour your curves. It also features 3/4 bell sleeves and pleating from a curved side panel. 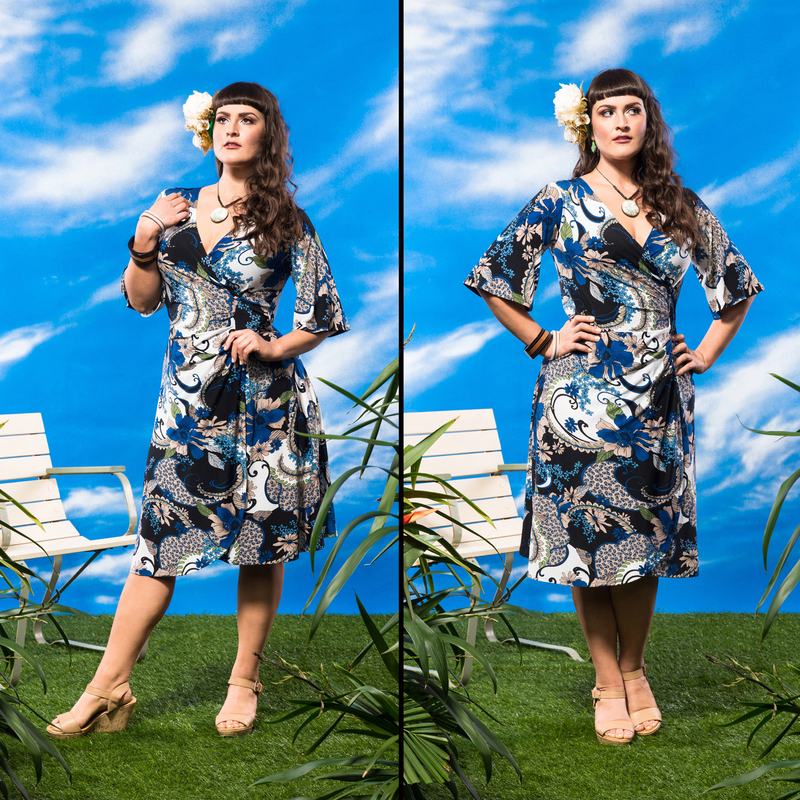 We only made a very limited number of the La Femme in this print, so don’t leave it too long if you are loving it!! Trelawney is wearinga floral headpiece from Bluebelle Vintage, necklace from Mon Manabu and earrings from Mooku (all brands available in store).